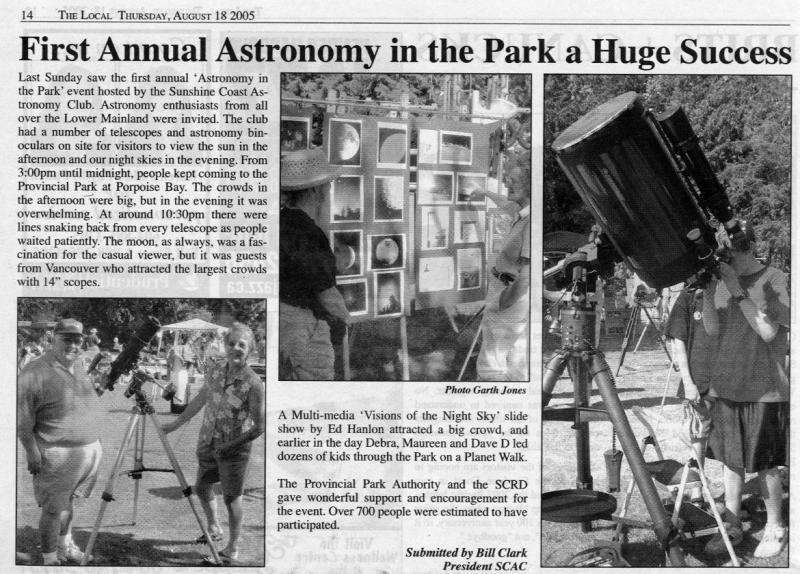 The Sunshine Coast Astronomy Club was formed on July 30, 2004 when a group of 16 enthusiasts met in Sandy Hook, a neighbourhood of Sechelt, on the Sunshine Coast in British Columbia, Canada. 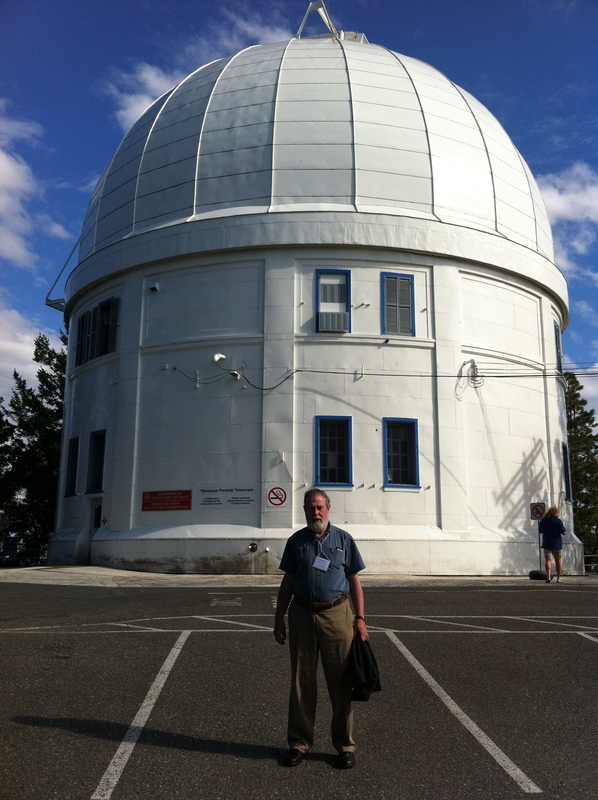 In 2007 president Bill Clark spearheaded the drive to take us into the RASC. 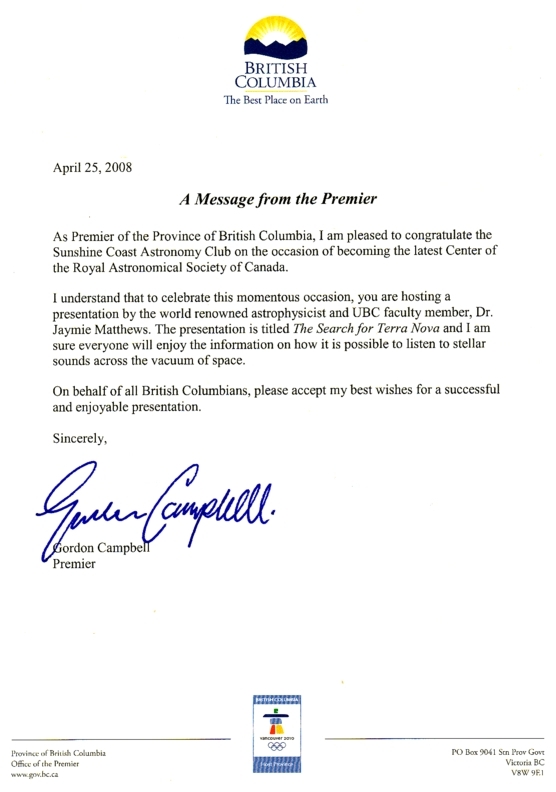 In April 2008 we became the Sunshine Coast Centre of The Royal Astronomical Society of Canada, the 29th centre of this prestigious national organization which was founded in 1868. 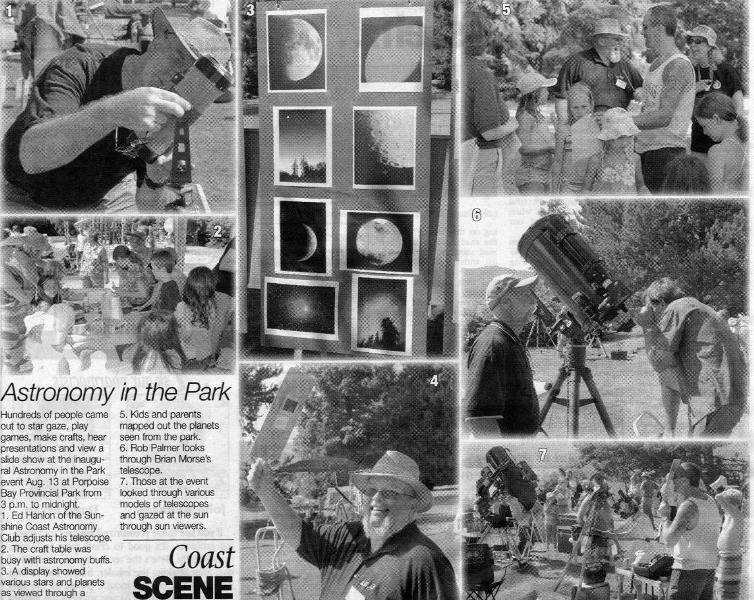 In June 2014 we celebrated our tenth anniversary at the General Assembly of the Royal Astronomical Society in Victoria, BC. 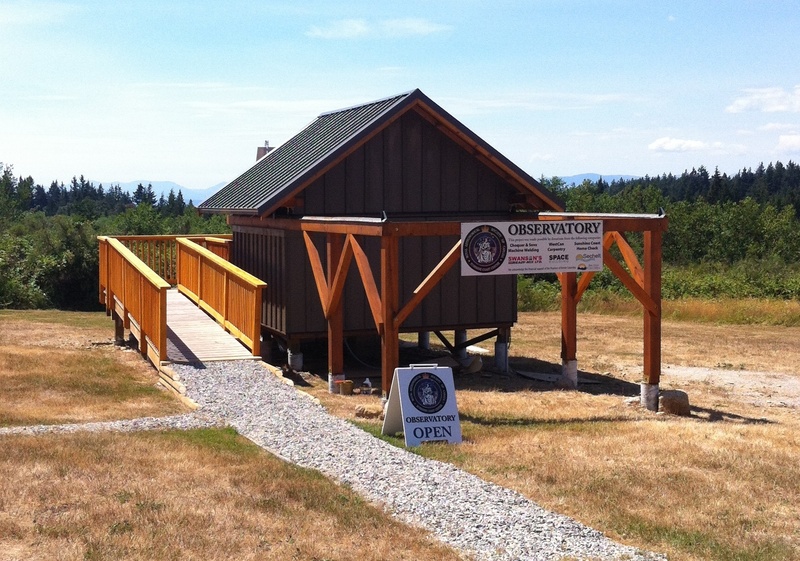 Our Centre currently has 68 members.